After graduating from the University of Otago in 1992, Dr. Talbot completed his Internship in Wellington, NZ before commencing residency and surgical training at Sydney’s St Vincent’s Hospital. 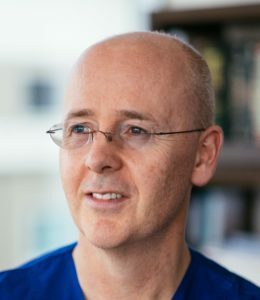 Graduating from Advanced Surgical Training in the Sydney Southeastern rotation in 2001, Dr. Talbot then underwent further subspecialty training as the Lister Lecturer in Surgery at the Glasgow Royal Infirmary, before commencing Consultant practice at St George and Wollongong Hospitals in 2003. He is now a Conjoint Associate Professor in Surgery at the University of New South Wales. Throughout his career he has been a pioneer of complex and Bariatric and oesophago-gastric surgery in NSW and performed Australasia’s first robotic bariatric and oesophageal surgical procedures. Dr. Talbot runs NSW’s longest established High Resolution Oesophageal Diagnostics Lab and has many research interests. Michael is supported by the RACS Visitor Grant Program.